With vulnerability and tenderness, Adriel Booker shares her own experience of three consecutive miscarriages, as well as the stories of others. She tackles complex questions about faith and suffering with sensitivity and clarity, inviting women to a place of grace, honesty, and hope in the redemptive purposes of God without offering religious clichEs and pat answers. She also shares specific, practical resources, such as ways to help guide children through grief, suggestions for memorializing your baby, and advice on pregnancy after loss, as well as a special section for loved ones. 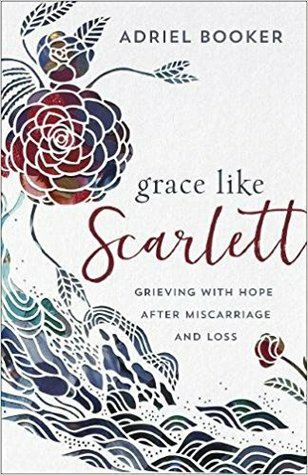 Grace Like Scarlett is a book that will have you in tears and will give you a better understanding of how to have empathy and grace for those who have walked painful and difficult roads in the loss of an infant through a miscarriage. However, not only does this book talk about the feelings of miscarriage, but it also allows the reader to experience grief, not specific to just losing children. This book brought up for me a lot of grief that I have been dealing with regarding my grandma and how I needed to work through certain areas where I did not know I had pain still. The author is very authentic and also compassionate. While reading this book, I never felt shame, but instead felt a lot of grace, compassion and love through the process. She is very gentle and gracious. This book is full of wisdom, compassion, grace and comfort that I didn’t know I needed. This book is an important book for men and women. It is a great resource and well worth the read. I really enjoyed reading this book. I give this book 5/5 stars. Adriel Booker loves helping people engage with the goodness of God, discover who they are in light of Him, and find a sense of purpose where their gifts and passions collide with the needs of the world. She’s the founder of The Love A Mama Collective, a movement of women empowering women through safe birth initiatives in developing nations, and is the curator of Our Scarlett Stories, an online community of parents supporting one another through pregnancy loss. Originally from the mountains of Oregon, USA, Adriel has served in global missions for nearly two decades as a speaker, Bible teacher, writer, advocate, leadership coach, and mentor. Together with her husband and young boys, she now lives in the heart of Sydney, Australia where they’re cultivating a missional community in the inner city and discovering the deep joy of living in a city by the sea. She dreams of the day when Jesus makes all things new and when she can sleep in until 9:00 a.m. on a regular basis. 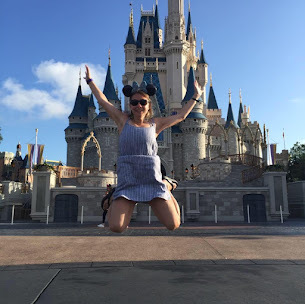 Connect with Adriel at her blog, www.adrielbooker.com, where she explores topics related to faith and everyday spirituality, missions, family and parenting, motherhood, and global women’s issues.